This release was original intended to be untitled, but fans have since dubbed the release ‘The Tyrants E.P’. 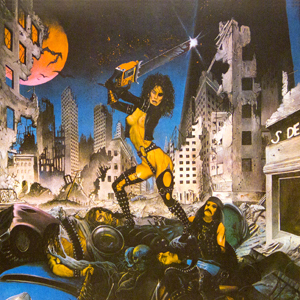 The cover contains no logo or title because the band did not want to obscure Keith Austin’s artwork. The band members are part of the painting and can be seen at the bottom of the album cover. The picture disc release of the album contains color artwork on only side A. Side B is either clear or black vinyl, depending on the batch.